At last week’s World Economic Forum Annual Meeting in Davos, the United Nations Foundation gathered leaders from across sectors to share ideas and discuss industry, regional, and global agendas at an event called #SDGLive. The week’s events focused on progress toward historic global agreements like the Sustainable Development Goals, which outline plans to achieve gender equality for all women and girls in goal #5. – Babatunde Osotimehin, Executive Director of UNFPA and a global leader on public health, kicked off the event reminding us that gender equality must be the benchmark against which society works. We’ve seen great progress, but there’s still so much to do to reach gender equality. – Alan Jope, Unilever’s President of Care Services, said that current projections suggest it will be 170 years until gender equality is met. We can’t live with that. He also said that young women need role models. Moms, mentors, and leaders can all set a positive example for young people everywhere. 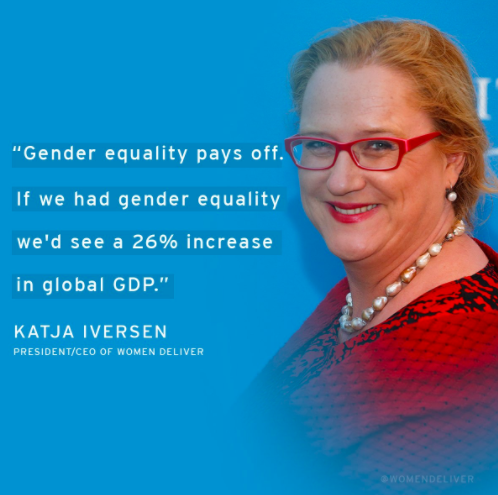 – Katja Iversen from Women Deliver said that we absolutely must keep girls and women on the global agenda. She added that mothers hold the key to the global goals and that women deliver – and so much more than babies! Naturally, we loved hearing that mothers are pivotal to getting the job done. – Helen Clark, UN Development Programme‘s Administrator, said that any serious shift towards more sustainable societies has to include gender equality. We are still decades away from gender parity and women shouldn’t accept that. You can’t achieve the #SDGs agenda if you leave people behind, women and children in particular. – Phumzile Mlambo-Ngcuka, Executive Director, UN Women, during opening remarks at the release of the HeForShe IMPACT Champion Parity, reminded us about a study by the World Economic Forum that found that it could take 118 years to reach gender parity in pay if we continued to do business as usual, which is to leave most of the work to women’s organizations, interest groups, activists and others who are not in positions of authority, yet who are concerned and determined. If we enter into business un-usual, and enter the space of the new normal, which is what we are doing today, we could shorten that journey. The bottom line? Regardless of where you live, gender equality is a fundamental human right. Advancing gender equality is critical to all areas of a healthy society, from reducing poverty to promoting the health, education, protection and the well-being of girls and boys. Learn more about Goal #5 and other Sustainable Development Goals, visit: http://www.un.org/sustainabledevelopment. 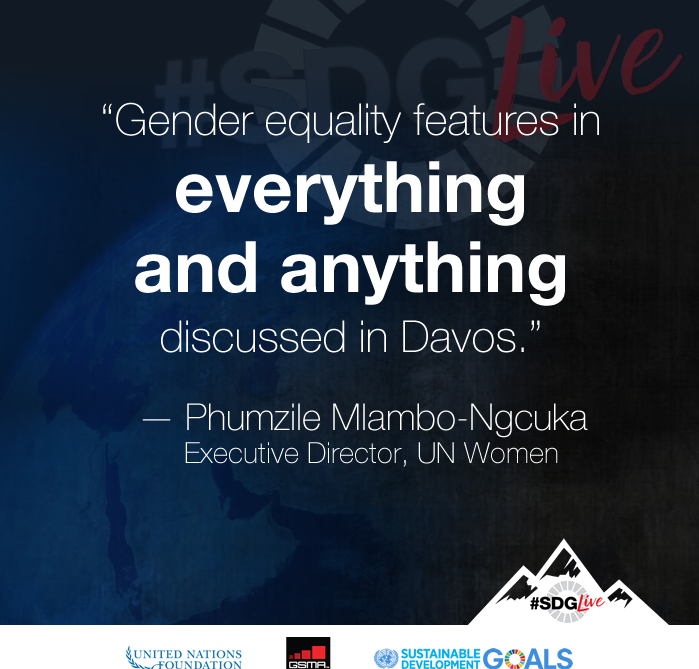 Watch the LiveStream session from #SDGLive with Katja Iversen and Alan Jope called: It pays to invest in girls and women. Holly Rosen Fink is long-time supporter of Global Moms Challenge and a freelance writer. You can follow her on Twitter @hollychronicles. 2018 Global Goals World Cup Recap! The Global Moms Challenge supports the UN Secretary-General's Every Woman Every Child initiative to help women and children lead healthy lives.